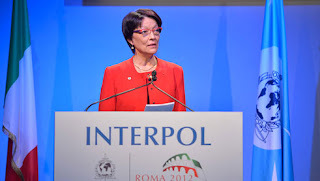 Interpol expects imminent arrests in Singapore linked to Italy's mushrooming 'Calcioscommesse' football match-fixing scandal, a report said. The global police body's chief Ronald Noble said more links to the Asian city-state had been revealed following this week's arrest in Italy of Serbian footballer Almir Gegic, after more than a year on the run. "In the near future, Singaporeans will be reading about arrests made here in Singapore of people linked to illegal betting or match-fixing either in Singapore or outside Singapore," Noble told the Straits Times. He added that Gegic, suspected of involvement in Calcioscommesse (football betting), had links to Singapore's Tan Seet Eng or Dan Tan, "one of the leaders of an organised crime group" who is reportedly also wanted by Italian police. Noble was speaking during a conference on match-fixing in Singapore, which has been identified as a hub for football corruption affecting leagues across the globe. In one of the most notorious cases, Singapore's Wilson Raj Perumal, an alleged associate of Dan Tan who was suspected of rigging games in several countries, was jailed in Finland in 2011. Calcioscommesse whistle-blower Simone Farina, a former left-back with Italian lower-league side Grubbio, told the Interpol conference a former team-mate offered him 200,000 euros ($259,131) to throw a match last year. "I was told that this amount was guaranteed because of his support from an organisation based here in Singapore," Farina said in an address on Wednesday. 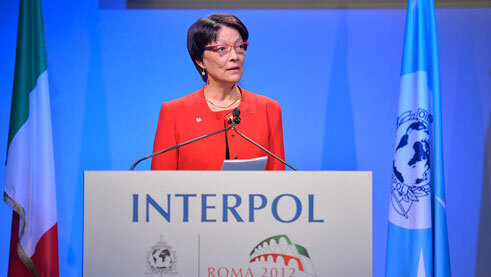 Nineteen people were arrested during raids in May, including some senior figures in Italian football. Juventus manager Antonio Conte is currently serving a four-month ban over the affair. Indicating the scale and extent of the problem, in recent weeks Zimbabwe disbanded its national team in the wake of a 2009 scandal -- also linked to Singapore -- and Czech authorities probed fixing claims in its top league. "The size of the illegal gambling market has been estimated at close to 500 billion euros per year," Noble told the Singapore conference.